Amalfi. Its grand clubhouse stands majestic with the spacious courtyard in the foreground. The 50-meter swimming pool. kiddie pool and lounge pool are behind it with the two completed mid-rise buildings. 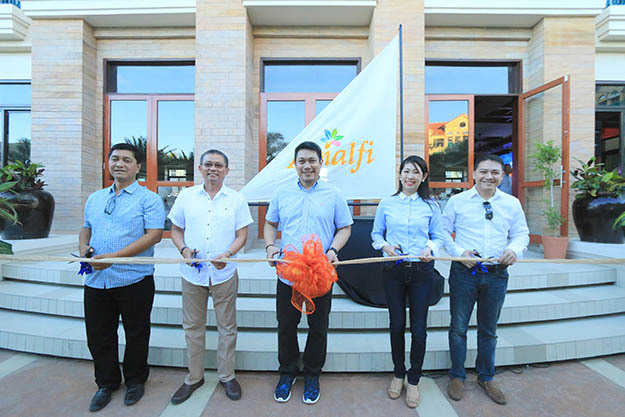 CEBU CITY (Jan. 15, 2016) — Filinvest Land, Inc. (FLI) inaugurated today and opened for residents’ use the grand clubhouse and complete resort-grade amenities of Amalfi, its high-end project at City di Mare in South Road Properties (SRP) in this city. Tristan Las Marias, first vice president who oversees FLI operations in the Visayas and Mindanao, led company officials today in the ceremonial opening at the Amalfi clubhouse. “The luxurious mid-rise enclave Amalfi now offers relaxing resort-style amenities where fun moments are best shared with loved ones and friends,” said Julie R. Castaños, FLI project development manager for Amalfi. She cited the cluster’s 50-meter pool, spacious courtyard and landscaped open spaces that comprise more than 60 percent of the entire property. Inauguration. Filinvest Land, Inc. first vice president and head of the Visayas-Mindanao cluster Tristan Las Marias (center) leads company officials in opening the clubhouse and all the other amenities of Amalfi Joining him from left are: Engr. Josefino Padilla, project technical head; Engr. Allan G. Alfon, area general manager; Julie R. Castanos, project development manager; and Boler L. Binamira, sales head for the Visayas. This development comes as the company reports that the third building at the site is 81 percent complete. “We would be able to turn over units from the third building by the third quarter of this year,” she noted. Amalfi offers 2-bedroom units at 53 square meters that range from P5 million to P7.2 million, and 3-bedroom units at 82-square meters priced from P11 million to P13 million each. “Amalfi’s amenities are promises of luxurious resort-living delivered to its discerning market. It is a tangible experience for those who will be moving in,” Castaños quipped. AMALFI, its resort-styled swimming pool. Amalfi boasts of lush landscapes, generous open spaces, well-thought-out amenities, and stylish living spaces that enjoy a majestic view of both the mountain and the sea, she noted. A quality project under the high-end Filinvest Premiere brand, Amalfi is one of the residential offerings of the 50-hectare City di Mare. 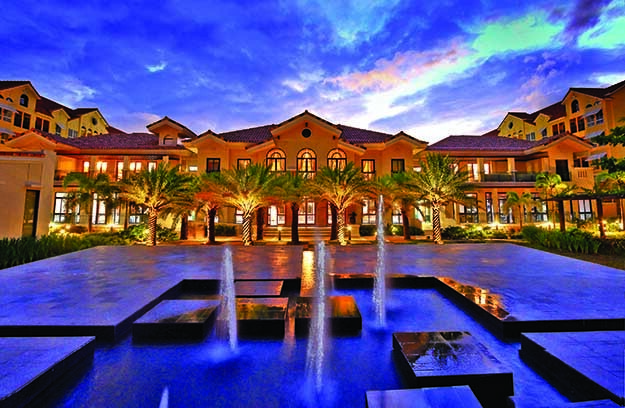 Set as Cebu’s lifestyle capital, it is a self-contained green coastal community that also features the iL Corso waterfront dining and retail strip. Amalfi’s idyllic setting is a perfect complement to the evolving township that is City di Mare. It is a haven where security, accessibility and modernity meet, a true urban paradise. Filinvest is one of the country’s leading full-range property developers with almost 50 years in real estate and a diverse project portfolio spanning the archipelago. Guided by the Gotianun tradition of integrity, quality and service, the company continues to build the Filipino dream, one home at a time, across the Philippines. 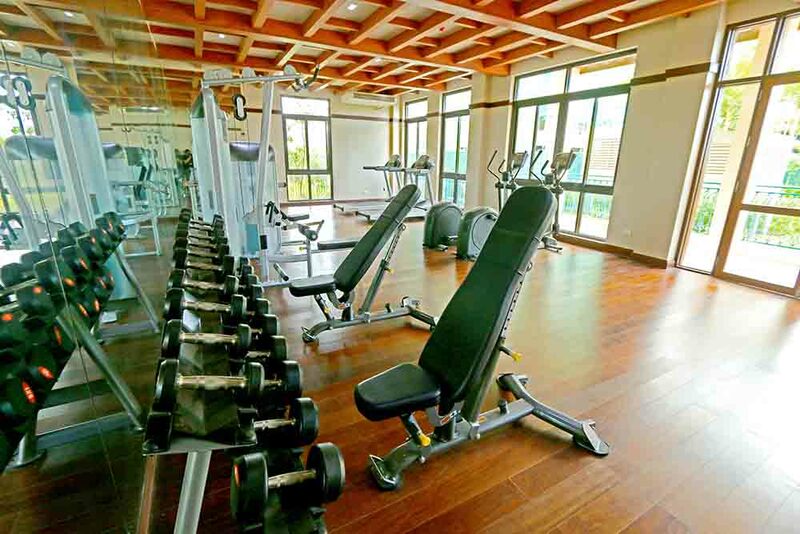 AMALFI, the fitness gym at the 2nd floor of the grand clubhouse. This entry was posted on January 15, 2016 by Cerwin in Filinvest Land and tagged Allan Alfon, Amalfi, amenities, Boler Binamira, Cebu property, Cebu's lifestyle capital, City di Mare, clubhouse, Gotianun, Il Corso, premiere estate, real estate, Sanremo Oasis, SRP, Tristan Las Marias.